As pilots and safety professionals, we see the acronym IHST all the time, but do we really know what it represents? Some of us actually know what it means and what they do, but not everyone is are aware of the mandate the International Helicopter Safety Team has within the rotary wing community. I recently had the opportunity to sit down and talk with Fred Brisbois, co-chair of IHST’s U.S Safety Implementation Team regarding the organization’s mission, goals and safety initiatives. Let’s first look at how IHST was formed. Long-term helicopter accident rates remained unacceptably high and trends had not shown significant improvement when the first International Helicopter Safety Symposium (IHSS) was held in Montreal, Canada in September 2005. The American Helicopter Society (AHS) hosted the event with Helicopter Association International (HAI). Participants included operators, manufacturers, maintenance organizations, regulatory agencies, accident investigators, professional associations and press from 13 countries representing five continents. IHST started in 2006 when a group of safety professionals joined forces to reduce helicopter accidents. The team regards every accident as their accident. It hurts us all in the aviation-helicopter community. 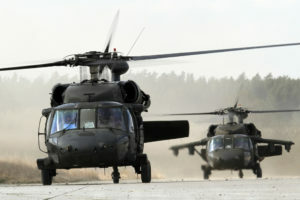 The intent was to be global, even though a large majority of the commercial helicopter fleet is in the United States. As part of an effort to reduce these accidents, a Joint Safety Implementation Team (JHSIT), a specific part of IHST, addresses helicopter safety within the United States. Their website is scheduled be operational by the end of this year. JHSIT has formed work groups specializing in SMS, Training, Helicopter Flight Data Monitoring (HFDM), Maintenance and Infrastructure. The mission of IHST is to establish international partnerships in countries with significant helicopter operations and encourage development and implementation of safety interventions by sharing lessons learned through accident analysis. Unrealistic as it may seem, the group sets a high standard – its vision is to achieve an international civil helicopter community with zero accidents. IHST goals are to have zero tolerance, which equals zero accidents, reduce the international civil helicopter accident rate 80 percent by 2016, reverse any negative trend and improve safety culture in the helicopter industry worldwide. The last goal is to promote IHST safety publications and toolkits to operators worldwide for maximum awareness of the team’s message. There are many challenges in striving to achieve their goals. It is difficult to collect data in the industry and difficult to measure progress. The intent was not to improve safety through regulation but through awareness and cooperation. IHST agreed to develop and implement a data-driven, benefit-focused safety program designed to continuously reduce the risk of helicopter accidents. 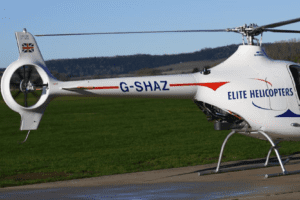 The group chartered a Joint Helicopter Safety Analysis Team (JHSAT) to develop data-driven safety recommendations in pursuit of the goal to reduce the accident rate and fatality risk. JHSAT membership consisted of key stakeholders in the helicopter design, manufacture, operation, training and regulatory communities. • Implement (SMS) safety management systems. 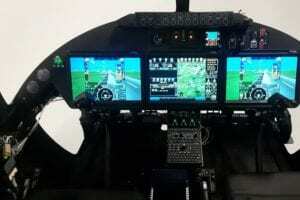 • Improve training (including simulator/flight training device utilization, and aeronautical decision-making). • Leverage new technologies though new systems and equipment. IHST is working with global partners and regional safety teams to develop strategies to move in concert on common themes, with the greatest impact in the personal flying and training segments. Extensive analysis has identified that the groups most likely to have a helicopter accident are general aviation pilots, trainees, and small operators. IHST is also working with regional teams to develop complimentary products for use worldwide, address unique regional needs locally, and implement a plan to share these products worldwide. 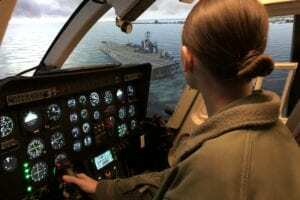 One of these methods was the recent release of “The Helicopter Pilot Code of Conduct.” Social media strategies have been developed to reach more individuals and operators. Look for a smart phone application in the near future. • Educate target audiences about the condition of helicopter safety and reasons behind helicopter accidents. • Convey to audiences a sense of what progress is being made toward the IHST goal. • Convey to audiences information about the worldwide partnership effort within the IHST. • Raise the awareness that IHST “tools” can improve helicopter safety, especially in social media areas. Nearly 40 countries currently support the efforts of IHST and global growth continues every day. In addition to the United States, safety teams have been established in Canada, Europe, Brazil, India, Japan, Middle East-North Africa, and expansion efforts in Russia, Australia, New Zealand, Mexico and South America continue. 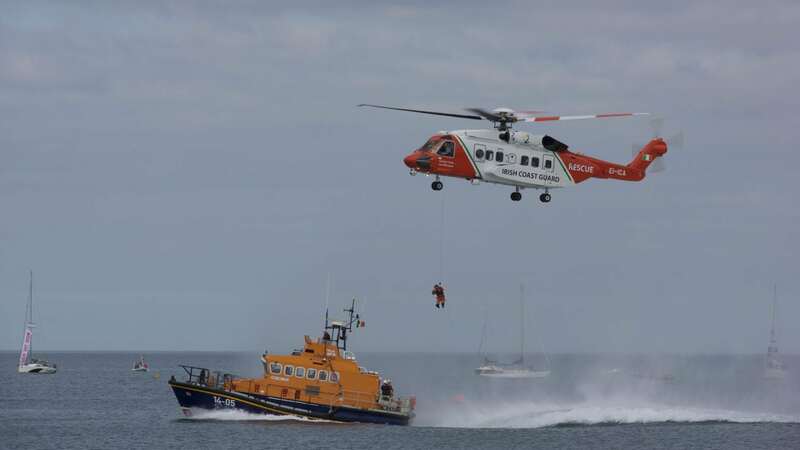 Major industry participants include AgustaWestland, the American Helicopter Society International, Bell Helicopter, Bristow, CHC, Eurocopter, Flight Safety Foundation, the Helicopter Association of Canada, HAI, Shell Aircraft, and Sikorsky Aircraft. Much media attention is given to medevac (HEMS) accidents, but in reality, HEMS accidents account for only 8 percent of helicopter accidents and rank fourth behind personal/private, instructional/training, and aerial application, respectively. Every accident is a tragedy and a “miss.” At some point in the accident chain, there was probably someone that could have influenced the pilot and prevented a wrong decision. If we look at the causes of HEMS accidents, we see the same contributing factors that are present in other helicopter accidents such as “get-there-itis,” scud running, continuing visual flight rules into instrument conditions, responding to peer pressure, mental expectancy, getting behind the aircraft, loss of positional/situational awareness, operating without adequate fuel reserves, descent below the minimum enroute altitude, flying outside the envelope, and neglect of flight planning, preflight inspections, checklists, etc. Basically, pilots are repeating the same mistakes in all areas of rotary wing aviation, not just HEMS. Working to eliminate “Groundhog Day” situations, IHST promotes SMS to include developing a “Just Culture” environment, integrating a SMS into the operation, developing objective risk assessment, providing specialized training in aeronautical decision making, and providing frequent simulator training in all industry/mission type flying. IHST’s HEMS Tool has been specially designed to meet the needs of low-altitude VFR emergency first responders. It runs as a desktop application on your computer for maximum performance. The tool has high-resolution base maps, including streets, hospitals, and heliports for the entire United States. More detail is revealed as you zoom in. The HEMS Tool can overlay multiple fields of interest: ceiling, visibility, flight category, winds, relative humidity, temperature, radar (base and composite reflectivity), AIRMETs and SIGMETs, METARs, TAFs, and PIREPs. Other tools available to assist in avoiding these accidents are readily available from IHST and include an SMS toolkit, Training toolkit, Helicopter Flight Data Monitoring toolkit, and a Maintenance toolkit. Other areas we can look at to reduce accidents are improving autorotation training, adding advanced maneuvers to simulator training, emphasizing critical issues awareness in training, enhancing aircraft performance and limitations training, strengthening emergency procedures training, implementing a personal risk management program, and establishing a mission-specific risk management program. The IHST is looking for ways to expand its presence and increase utilization of its safety tools and methods in the helicopter community worldwide. More expansive marketing and communications aimed at the “grassroots” of the helicopter industry may help to improve safety awareness. One way is to reach younger pilots is through social media. Reaching out to the entire community is a task that the government can participate in, but cannot shoulder itself. Regulatory actions should not be the answer. When the global helicopter community steps up to voluntarily address safety, everyone benefits and the marketplace will thrive. I strongly recommend all pilots and operators visit IHST’s website (www.ihst.org) to further their pursuit of safety excellence.